I was inspired to finally post about the Cartoon Art Museum when I got the news this morning that Bill Watterson, the cartoonist of my favorite comics, Calvin & Hobbes, came back for a limited collaboration with the artist behind the comics Pearls Before Swine. Watterson retired in 1995, drawing the last Calvin & Hobbes panel. I am such as big fan of his comics that one of my nicknames in college was Calvin, and that my pitbull was named Hobbes. 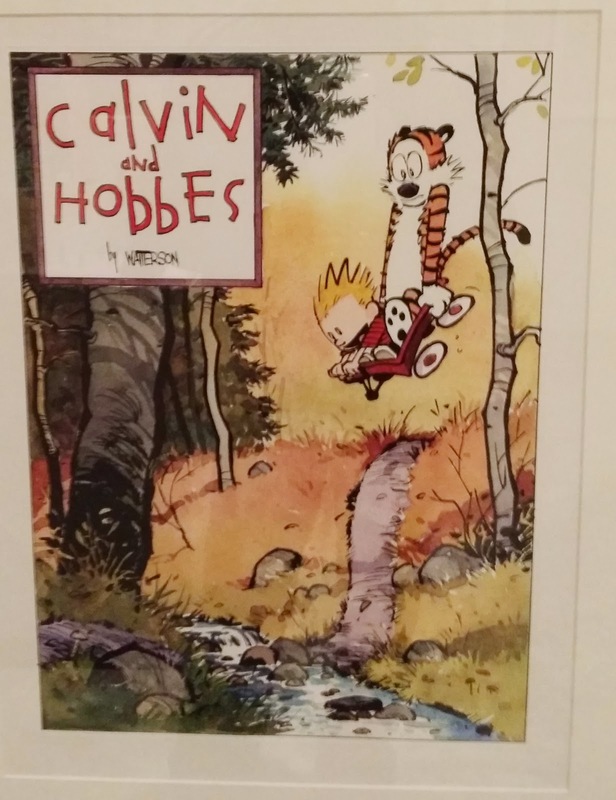 I've also read all the books, and for that I counted myself lucky that I was able to view a Calvin & Hobbes lithograph in the Cartoon Art Museum, donated by Watterson himself. 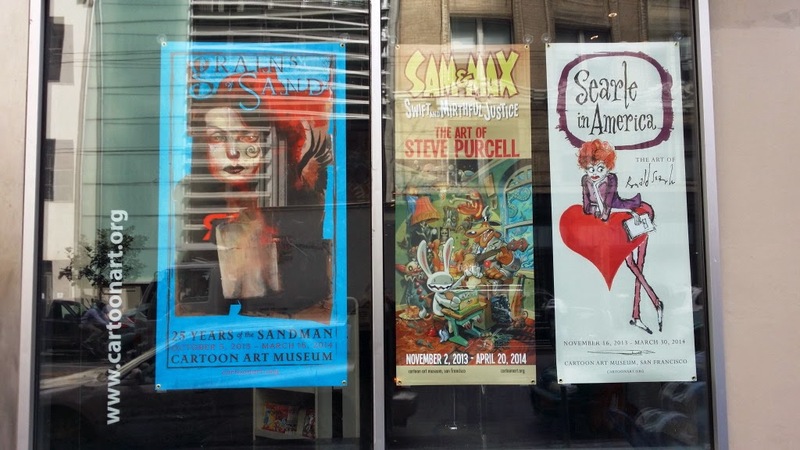 The Cartoon Art Museum (CAM) is located in the Yerba Buena district in San Francisco. I really didn't have any fixed itinerary when I visited SF, only that a museum or two is on my list, and this is the second that I visited, the other being the Contemporary Jewish Museum. CAM, housed in the ground floor of an office building in South of the Market, was founded in 1984. 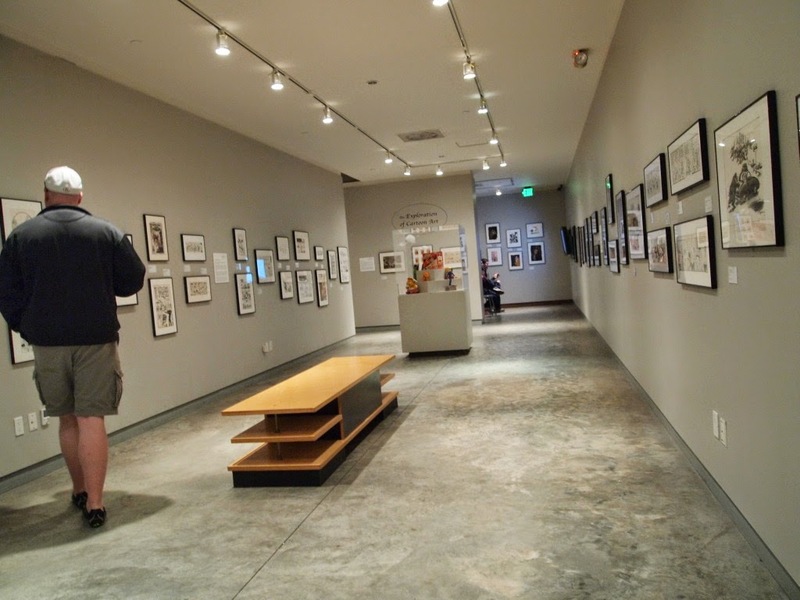 It remains the only museum in the West Coast to specialize in cartoons and comics, with about 6000 pieces in its collection . 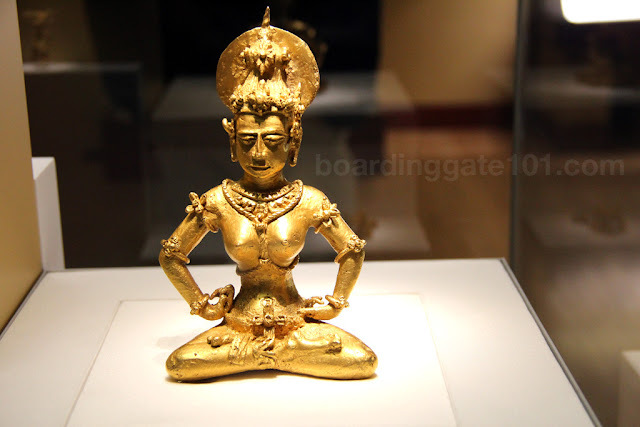 There were about three major exhibitions on display when I visited the museum. 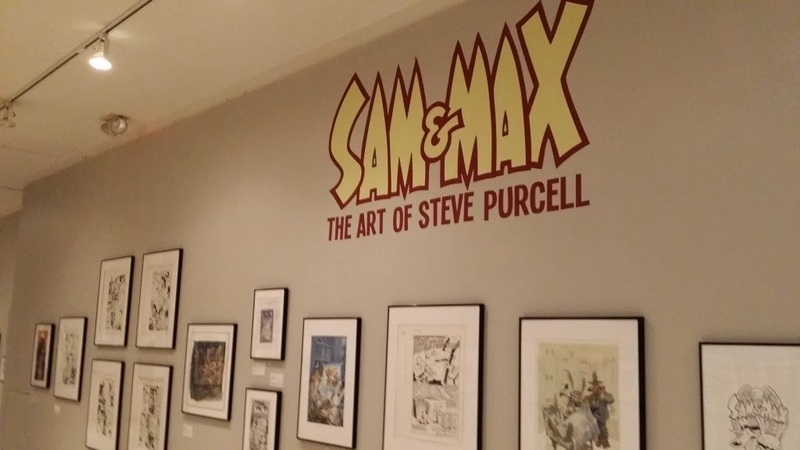 I am not really familiar with the first two, the cartoons by British satirist Ronald Searle, and the anthropomorphic dog and rabbit investigator team Sam & Max by Steve Purcell. Sam & Max first appeared in 1987. 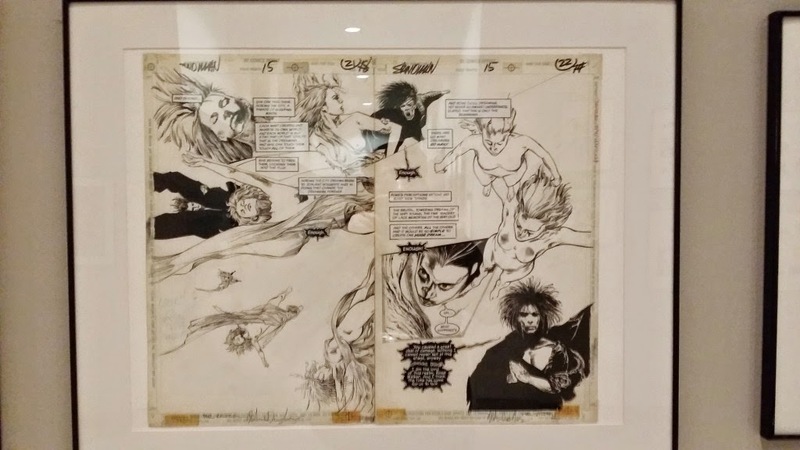 The third was entitled Grains of Sand, a retrospective for the Sandman comic book series, which was helmed by Neil Gaiman. I am familiar of this body of work, I have read and collected some of the books when I was in college. I liked this series, especially the Dream Country: A Midsummer Night's Dream (I am not a fan of his novels though, I find some of them tedious). 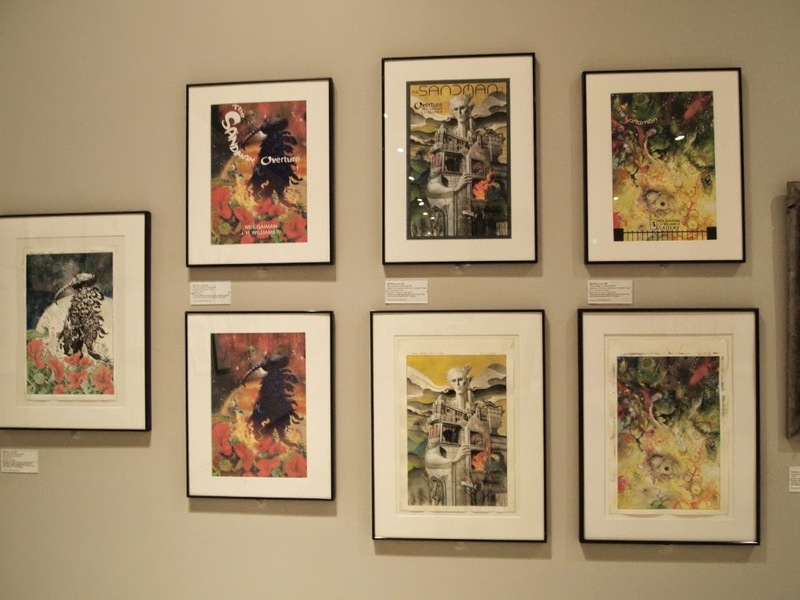 A gallery was set aside to accommodate all the original artworks, painted covers, concept art and sketches from illustrators and artists who collaborated with Gaiman to bring Dream, the main character also known as Morpheus, to life. There are other important pieces on display at the museum. 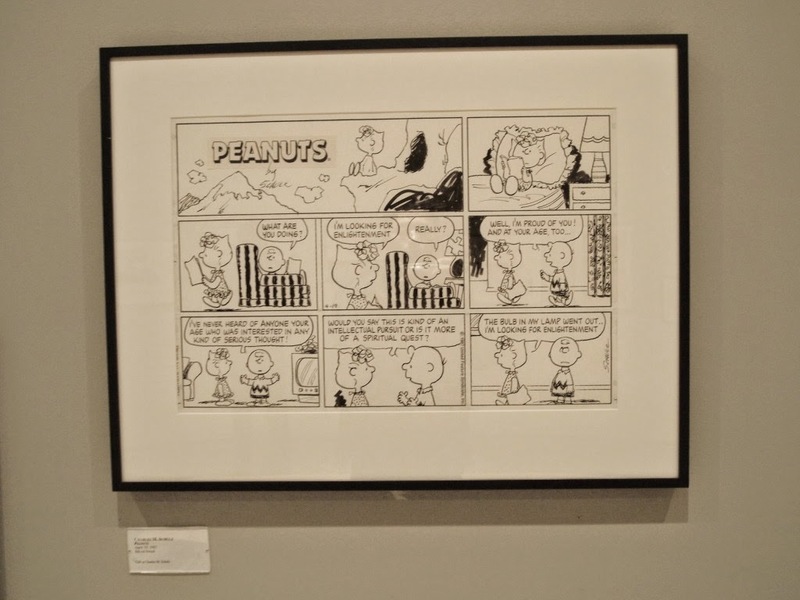 I saw panels from the comics Peanuts, donated by its creator Charles Schulz, Garfield by Jim Davis, Cathy by Cathy Guisewite, and notable comic book heroes such as Spiderman and Alpha Flight. Overall this was a nice and unique museum, catering to an artwork that many commentators say that is dying (the quality of comics in the newspapers these days seem to confirm this). Cartoons might not be as high brow as those displayed in contemporary art museums, but they are more accessible to everyone and are more enjoyable to see. 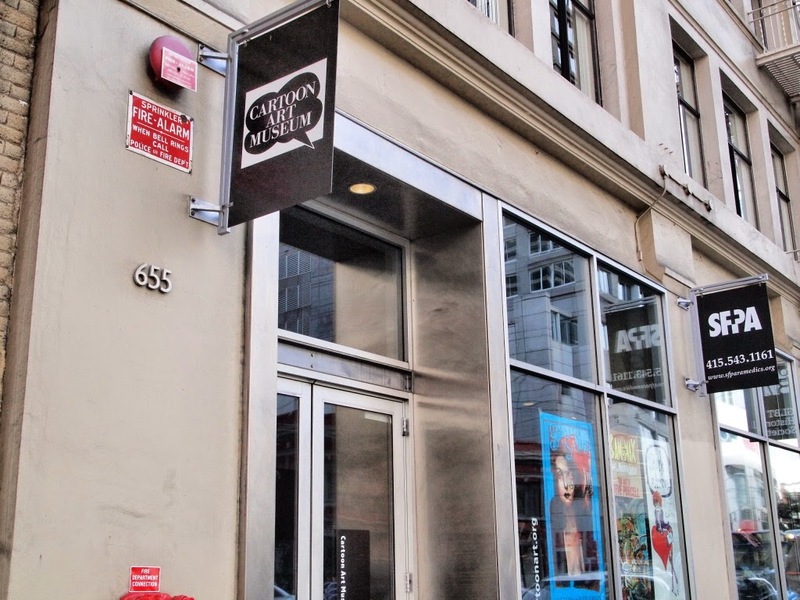 The Cartoon Art Museum is located in 655 Mission Street, San Francisco, California. It is near the San Francisco Museum of Modern Art, and right next to Museum of African Diaspora. 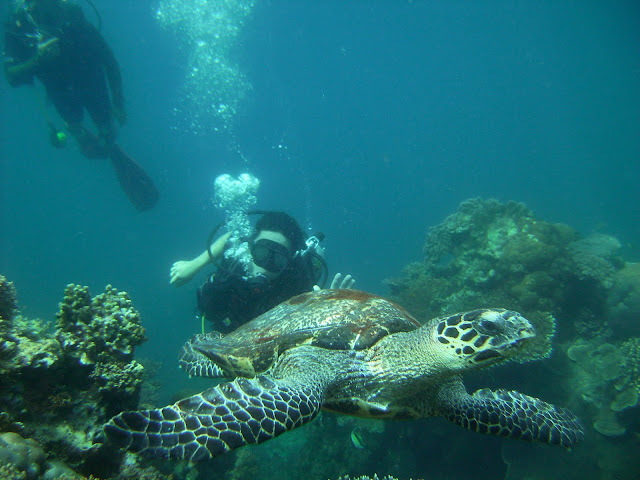 The museum is open Tuesdays to Sundays, 11am to 5pm, except on Christmas, Easter, Thanksgiving, and Independence Day. Entrance is $8 for adults, $6 for students and seniors.